If you enjoy chili this is a really good change of pace. 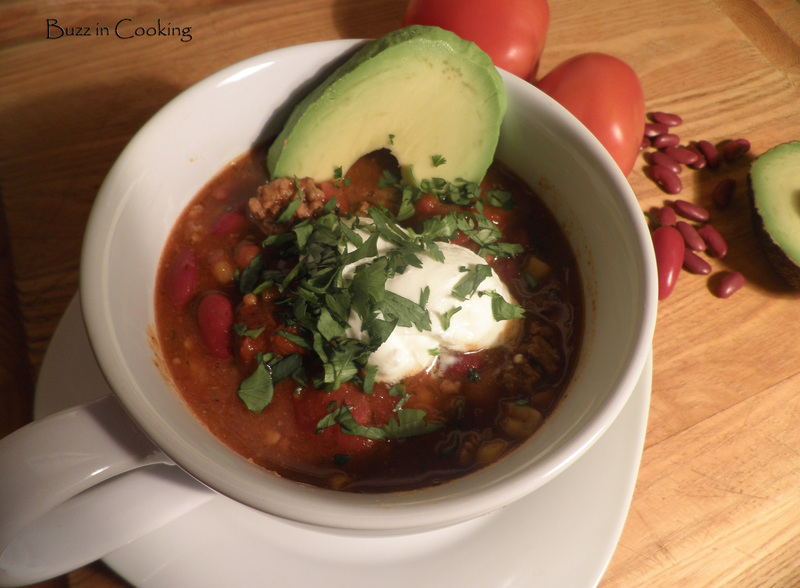 I personally love beans and vegetables in my chili and the consistency is almost like soup. Saute onions and hamburger and drain out excess oil. Add packets and stir to combine. Add beans with their liquid, corn, and tomatoes. Bring to a boil then lower heat to low, cover and cook for 2 hours. Garnish and enjoy. 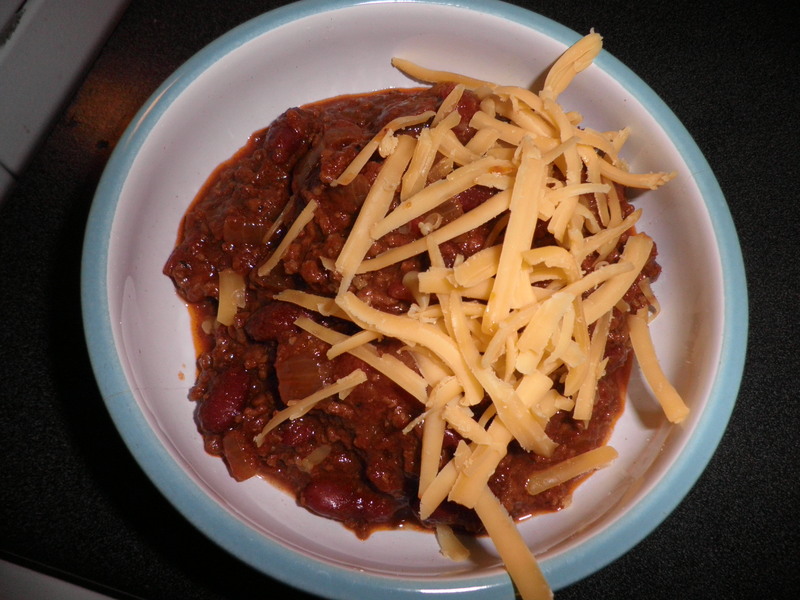 Chili will really warm you up during the cooler months of the year and it’s perfect when you’re on a budget. Make a huge batch so you can freeze it. Not only eat it in a bowl topped with cheese and sour cream, but enjoy it on a good Kosher hot dog or a some crispy french fries. Have it two ways by separating it and adding beans and Texas style without beans. In a Dutch oven or large (5-quart) heavy pot, heat oil over medium-high. Add onions and garlic. Season with salt and pepper, and cook, stirring occasionally, until softened, 3 to 5 minutes. Add tomato paste, chili powder, chipotles, and cinnamon. Cook, stirring, until mixture has begun to brown, 2 to 3 minutes. Add beef, and cook, breaking it up with a spoon until no longer pink, about 5 minutes. Add tomatoes with their juice, beer, and beans. Bring to a boil, and reduce to a rapid simmer. Cook over medium heat until chili has thickened slightly and beans are tender, about 5 minutes. Serve with cornbread and sprinkle with cheese. Cooking is my passion! I'm the happiest when I'm in the kitchen cooking my food. I can spend hours at the Farmer's Market picking out fresh veggies, fruits, wines, and breads. I'm so happy to share all of this with you.